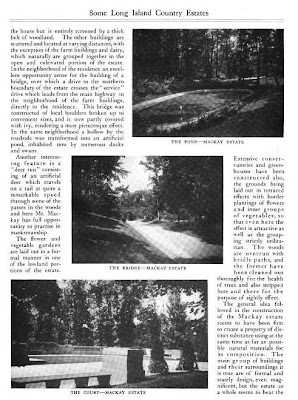 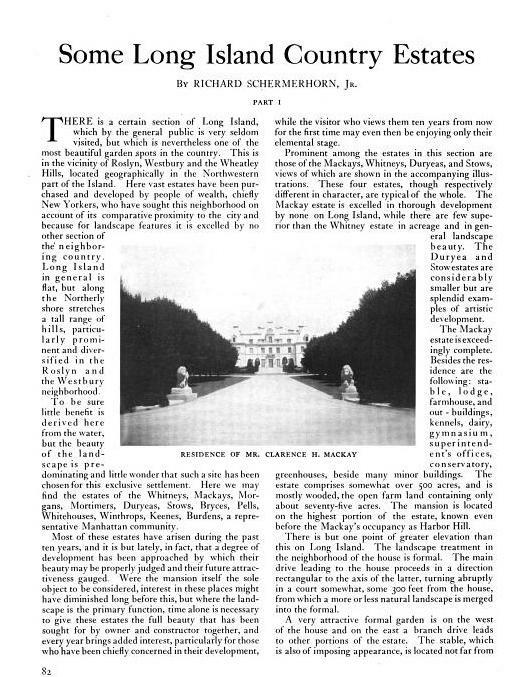 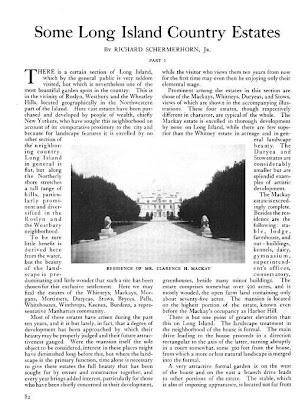 'Some Long Island Country Estates' by Richard Schermerhorn Jr. from a 1908 issue of House & Garden. 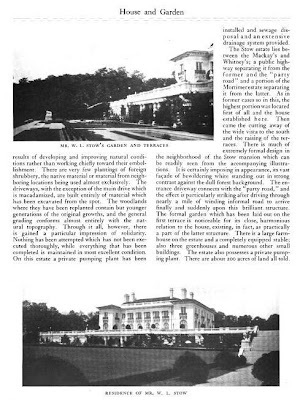 Featured in Part I are 'Harbor Hill', the Clarence Mackay estate in Roslyn designed by McKim, Mead & White and 'Spring Hill', originally the William L. Stow estate in Old Westbury designed by John Russell Pope. For the interested parties with failing eyesight use "ctrl" and "+" keys to enlarge text on these small type posts.